Today, I’m straying a little bit from things that have borrowed from H.P. Lovecraft, not because I ran out of things, I’m sure we’ll see at least one more Lovecraftian inspired entry before the end of the season. I did it because there are a lot of good little nuggets of weirdness that popped up on video store shelves in the 1980s, and they deserve to be remembered (well some of them do anyway). Today, I bring to you The Stuff. Have you ever felt that the horror market was missing a food-driven plotline? If so, this is the film for you. The Stuff is a creamy, filling dessert that is outselling ice cream and has no calories. As you can imagine the ice cream giants are unhappy with this turn of events and hire a industrial saboteur to find out how The Stuff is made and shut down the operation. As you might guess, it isn’t as simple as shutting down a factory or stealing a secret recipe. You’ll never look at yogurt or ice cream the same way again. Click below on the cover to grab a copy and read on for the official synopsis. Synopsis: Amalgamated Dairies hires David Rutherford, an FBI man turned industrial saboteur, to investigate a popular new product called “The Stuff,” a new dessert product that is blowing ice cream sales out of the water. Nobody knows how it’s made or what’s in it, but people are lining up to buy it. It’s got a delicious flavor to die for. I am a fan of great anthology films. Unfortunately, they haven’t made too many good ones in recent years. Once two titans of terror, George Romero (Night of the Living Dead) and Stephen King collaborated to bring to life a movie with five vignettes in it. Each of these stories was in the style of the old EC Comics horror comics: The Vault of Horror and Tales from the Crypt. Packed with high-caliber talent, featuring the writing of King, while under the direction of George Romero, this movie is fantastic. Throw in effects by Tom Savini, and you have a can’t fail anthology film. Click the cover below to procure a copy and read on for the official synopsis. Synopsis: Two macabre masters – writer Stephen King and director George A. Romero – conjure up five shocking yarns, each a virtuoso exercise in the ghouls-and-gags style of classic ’50s horror comics. A murdered man emerges from the grave for Father’s Day cake. A meteor’s ooze makes everything … grow. A professor selects his wife as a snack for a crated creature. A scheming husband plants two lovers up to their necks in terror. A malevolent millionaire with an insect phobia becomes the prey of a cockroach army. Add the spirited performances of a fine cast (Hal Holbrook, Adrienne Barbeau, Leslie Nielsen, Ted Danson, E.G. Marshall and King himself) and the ghoulish makeup wizardry of Tom Savini. Let the Creepshow begin. Since I have deemed this the week of classics, I will stay true to my word. This freaky Friday I am recommending The Blob from 1958, starring Steve McQueen. The monster from this film is as close to seeing a Shoggoth from H.P. Lovecraft’s writings as we’ve ever come. It is a non-newtonian liquid that essentially devours flesh. It arrives via a meteor and attaches itself to the mountain man that pokes it with a stick. If you’ve never seen this film, you totally should it is one of the best scifi horror films of its era and the blob is a great monster. It does not feel pain and can enter into any space by even the smallest opening. You can click on the image below for a copy and the official synopsis follows. Since it is Friday the 13th, read on below The Blob‘s information for some Jason Voorhees related fun. Synopsis: A cult classic of gooey greatness, The Blob follows the havoc wreaked on a small town by an outer-space monster with neither soul nor vertebrae, with Steve McQueen playing the rebel teen who tries to warn the residents about the jellylike invader. Strong performances and ingenious special effects help The Blob transcend the schlock sci-fi and youth delinquency genres from which it originates. Now, the real reason that you came here. Since this is Friday the 13th, I couldn’t leave out everyone’s favorite athletic equipment wearing maniac. Seeing as this is Freaky Friday, I’m going to recommend Friday the 13th Part 7: The New Blood. Haven’t seen the first 6? Why not, hmmm? You can watch them all first for a really great ti me. Really, if you just watch Part 6, you’ll be good to go for this one. At this point in the series, Jason is an unkillable, resurrected zombie trapped at the bottom of Crystal Lake. Until a girl with telekinetic powers breaks his chains. You read that right this movie boils down to Jason Voorhees faces off against Jean Grey from the Xmen. Are you with me yet? This film is also notable as the film where Kane Hodder dons the mask for the first time. He is the only actor to reprise the role of Jason (Part 7, Part 8, The Final Friday, and Jason X). His performance is amazing, he brings a level of anger and purpose that the other actors haven’t really provided. You can tell when he moves that Jason is on a vengeance filled quest as opposed to just randomly killing kids for the sake of killing kids. Also, the final fight is the best in the series and features what was at the time, the longest full-body burn sequence. This is also the first time you get to see Jason’s face since the end of Part 4, and death, resurrection, and time have not been kind to him. 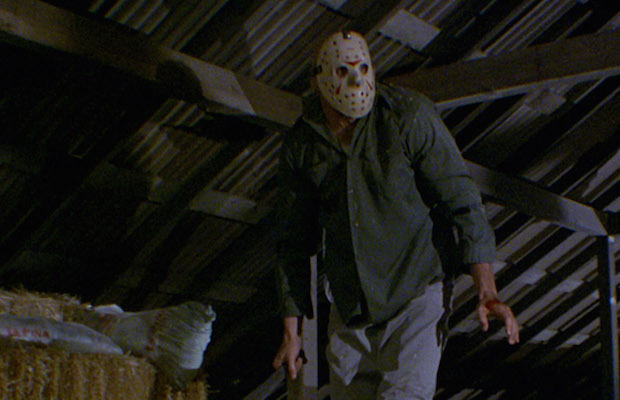 This film also features an amazing Jason design that is still one of my favorite. Click below for either the single film or collection and the film’s official synopsis. Synopsis for Part 7: What chance does a teenage girl have against a maniacal maniac with a machete? Pack your bags and return to Crystal Lake to find out for yourself . . . if you dare! 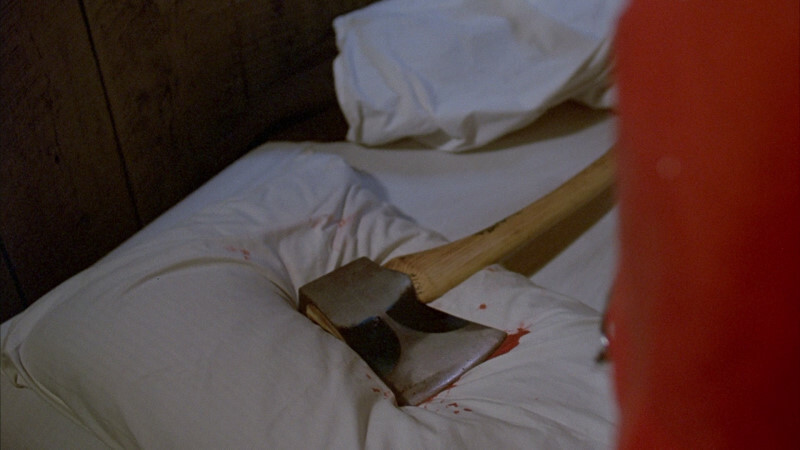 In Friday the 13th Part VII: The New Blood – Deluxe Edition, young Tina Shepard possesses the gift of telekinesis, allowing her to move things and see the future, using the power of her mind. But when a devious doctor tries to exploit her ability, the gift becomes a hellish curse. Tina unwittingly unchains the merciless, bloodthirsty Jason Voorhees from his watery grave, igniting a bloodbath that ends in the ultimate showdown in strength of mind versus pure evil matter. Experience the legacy of unrelenting terror that never dies! 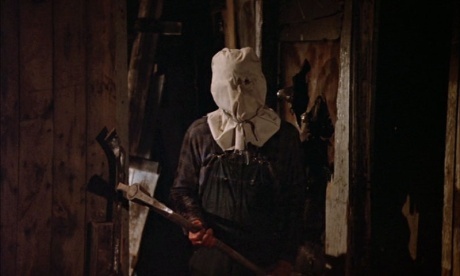 So, I’ve been torturing my wife by watching all of the old Friday the 13ths. She even admitted the first few weren’t too bad, but once they brought him back from the dead with a lighting bolt, she just could not get into them. That being said, I really did take notice of how the first Friday, while a slasher, is also a bit of a thriller, as well. 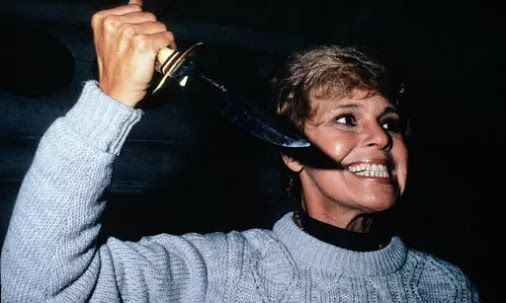 It isn’t until Mrs. Voorhees reveals herself that the killer has truly been unmasked. Based off of the jeep that we see the killer drive, it could also be Steve Christy. And what about old, crazy Ralph? Could he possibly be apart of the violence with his prophecies of doom? Nope, just a woman who went mad with grief. One thing that I noticed when watching these films, especially 1 & 2 (the one with camp counselors as the exclusive targets) is that children today will not even remotely understand some of the aspects of these films. I could be wrong, but most of my friends who have children that go to camp, it is a day camp or weekend camp. The only camps where they go overnight are the theme camps (music, sports, theatre). Camp Crystal Lake was just a camp, where kids went and learned outdoors stuff. Do camps like that still exist? If so, how many of them are there, and how many kids are attending? That is the first thing, the second will be why isn’t anyone calling for help with their cell phone? In a time when you had to keep change in your pocket to make a phone call, these movies will puzzle kids more so than the other slasher franchises (Halloween is in the town and they normally try and attract attention, Nightmare on Elm Street is in their dreams, and Texas Chainsaw Massacre doesn’t really give our protagonists time to realize that something crazy is going on). Instead, they wander about looking for someone else. Nope, nothing unusual about this. Some things I don’t even understand about the movies, and I’ve watched them far more than I should have. For instance, why is this man wearing a neckerchief. 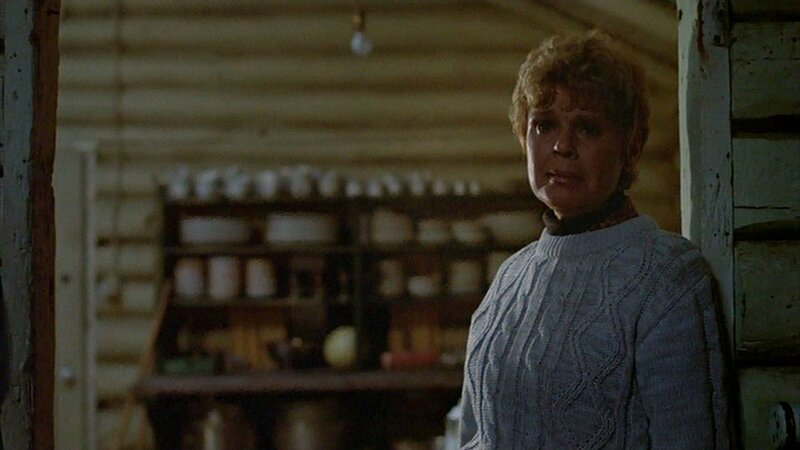 The fashion is admittedly fun to laugh at, because I don’t know that we ever thought these looks were going to last forever, but just in case, here is a sampling of the clothing seen at Crystal Lake.